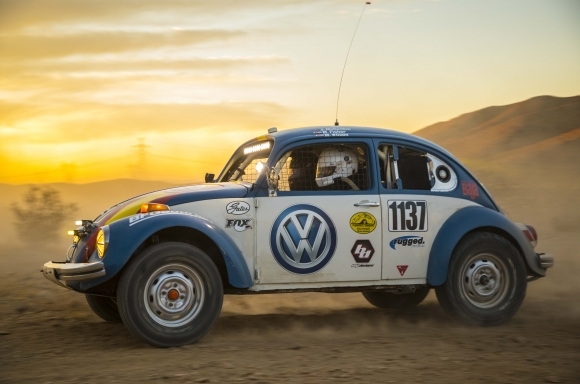 HERNDON, VA (November 6, 2017) — Volkswagen of America, Inc., today announced that it will sponsor the ProjectBaja.com Class 11 Volkswagen Beetle in the 50th BFGoodrich Tires SCORE Baja 1000® race, November 14-18, 2017. ProjectBaja.com—a team of Denver-based enthusiasts/racers led by industrial designer Josh McGuckin—has made completing the grueling event through the Baja California desert one of their life’s ambitions. 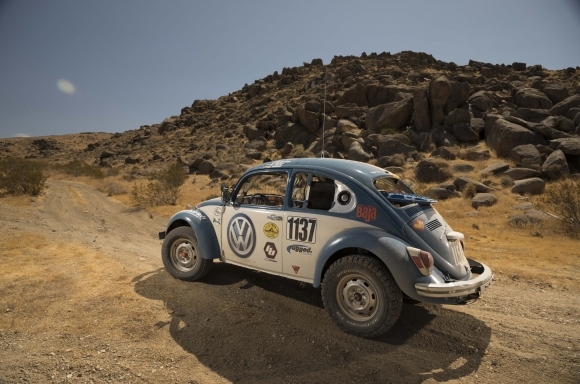 “The Class 11 Beetle harks back to the origins of desert racing,” said McGuckin, “We like a challenge and racing a Class 11 in the SCORE Baja 1000 is the ultimate. 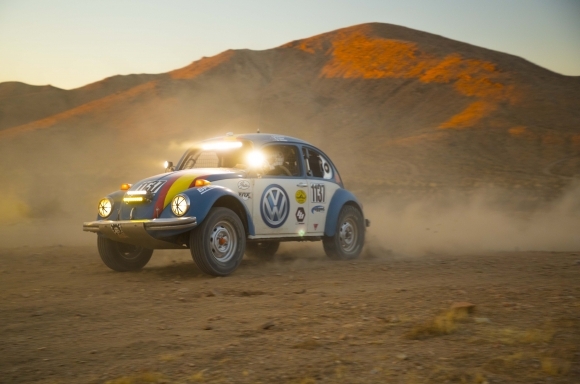 Our story started in the same way as many Class 11 teams: we were inspired by seeing the little underdog Beetle bouncing through the desert while the big Trophy Trucks made it look easy. Last time we attempted the event, back in 2014, we failed to make it to the finish line, but we are hoping to use everything we learned and 6 years of car development to help us get there this year.” McGuckin’s driving team will be accompanied by CNET Roadshow writer Emme Hall, who will report first-hand from the co-driver’s seat along with Matt Wilson, Matt Fisher, Evan Chute and Nick Wilson. 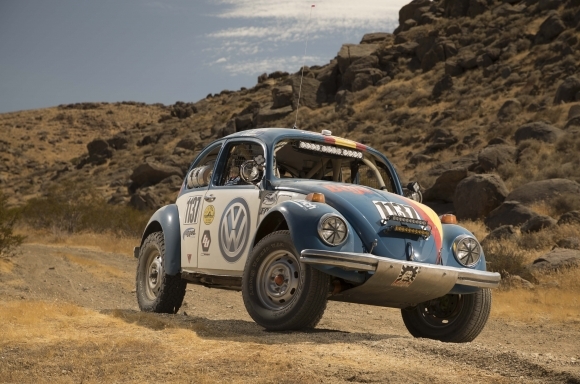 The 1970 Beetle, nicknamed “Tope”, has been restored and modified for desert racing by ProjectBaja.com. The vehicle runs with a stock Volkswagen horizontally-opposed 1.6-liter air-cooled engine and a type 1 transaxle with limited, class-defined modifications for the rigors of driving in the desert. The Beetle received a heavy-duty rear torsion bar adjuster, while the dampers were replaced with external reservoir Fox units, stiffer springs were fitted, and the stock gas tank was replaced by 22-gallon safety cell. The tires were changed from 165R-15s to 235/75R-15s BFG All Terrains; the rear trailing arms were reinforced; and skid plates were added for protection at the front and rear. All of the glass and upholstery were removed, communications and navigation equipment were added, and the stock seats replaced by racing buckets, with full harnesses. A stout roll-cage was also fitted. Externally, the car also sports auxiliary lighting, because the SCORE Baja 1000 doesn’t stop when the light goes down. The 2017 SCORE Baja 1000 will be a point-to-point race, starting in Ensenada, Baja California, Mexico, and finishing in La Paz, Baja California Sur, a route of 1,134 miles (1,825 km). For more on the race, visit http://score-international.com/raceinfo/schedule-of-events-baja-1000/. Founded in 1955, Volkswagen of America, Inc., an operating unit of Volkswagen Group of America, Inc. (VWoA) is headquartered in Herndon, Virginia. It is a subsidiary of Volkswagen AG, headquartered in Wolfsburg, Germany. VWoA’s operations in the United States include research and development, parts and vehicle processing, parts distribution centers, sales, marketing and service offices, financial service centers, and its state -of-the- art manufacturing facility in Chattanooga, Tennessee. The Volkswagen Group is one of the world's largest producers of passenger cars and Europe's largest automaker. VWoA sells the Atlas, Beetle, Beetle Convertible, CC, e-Golf, Golf, Golf Alltrack, Golf GTI, Golf R, Golf SportWagen, Jetta, Passat, Tiguan, Tiguan Limited, and Touareg vehicles through more than 650 independent U.S. dealers. Visit Volkswagen of America online at www.vw.com or media.vw.com to learn more. This press release and images of the ProjectBaja.com Beetle are available at media.vw.com. Follow us @VWNews.